Recent IBM employee reviews often report a work from home option, though some say it’s being scaled back. (See, for example, Glassdoor reviews here.) However, many Engineers appear to be working from home full-time. At IBM’s Compose, for example, an Engineer job lead notes: “At Compose, everyone is remote from someone. Engineers, designers, support, developers… the vast majority of us work from home.” For the full job description, click here. 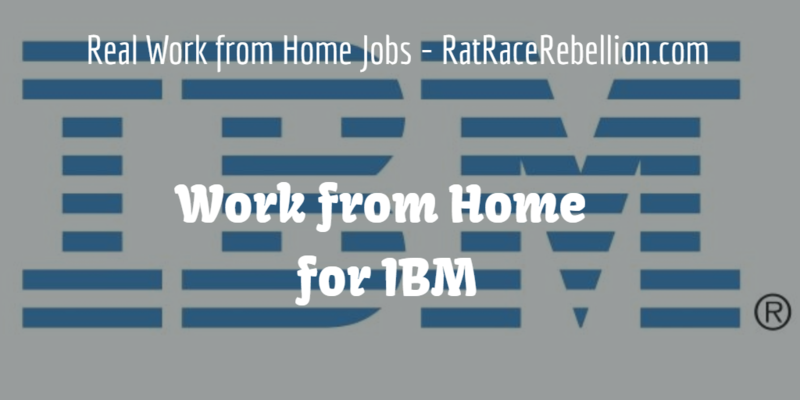 Overall, research indicates that working from home at IBM depends largely on the job, the job group and the manager. Engineers and Consultants often report working from home, but administrative personnel not so much. You can also use the Advanced Search option to fine-tune your search. Otherwise, simply search for jobs that interest you, then dig deeper on the web using the job title and search terms like those above. You may find an employee review that mentions working from home. Good luck as you move ahead! This entry was posted in Work at Home Jobs and tagged IBM. Bookmark the permalink.